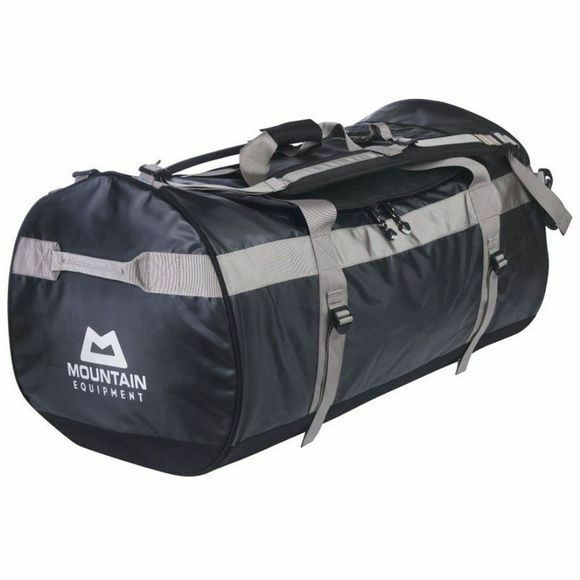 Tough and dependable for travel, these duffel bags from Mountain Equipment are made from highly durable waterproof tarpaulin and have reinforced straps. There’s a wide, u-shaped zipped lid for easy access, two internal mesh lid pockets for smaller items and another internal pocket to help keep wet and dry kit separate. While the fabric used on the Wet & Dry Kit Bag is waterproof to keep a lot of water out, the seams are not taped and the zip is not waterproof, therefore this cannot be considered a fully waterproof bag.